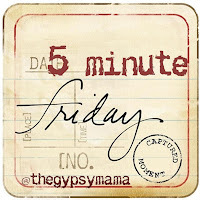 7 Quick Takes Friday: 5 Minutes! with recipes | House Unseen. Life Unscripted. Can I write 7 takes in 5 minutes or less. Yes! I've made Cari's potato soup recipe THREE times since she posted. A hit with the whole family. Go there. Make it. You're welcome. Water + yeast + sugar into "pan" of machine. Let sit for 10 minutes. Now salt (do it in this order! ), then flour, then oil. Pop into machine. Press start. Enjoy fresh baked bread 3 hours 10 minutes later. Today Katie, 5th grade, was looking at me like I was a loon while I talked to her about what things she imagined would float and what things wouldn't. "None of this stuff floats, mom!" Followed by "Ooooooh! You mean in waaaaaaaaaaaaaaaaaaater.....". Oops, my bad. Should have specified this was a science class, not a magic lesson. Paul raised his hand for the first time at CCD this week at "What makes you jump for joy?" His response? "Granola bars!" Does every pregnant woman stress out during her entire pregnancy that she or her baby has some strange, uncommon condition? And google and over analyze and be sure that she's going to be on the news for something very, very tragic? Please say yes. Because that's totally where I'm at. Stupid brain! Can someone please make my kids dentist appointments for me? M'kay? Thanks! Dang! 7 minutes. One minute per take, though. Bam! I play the "what obscure/hideous/life threatening/shocking condition does this baby have?" all the time! Usually I decide it's either fetal alcohol syndrome, rabies, or whatever those babies in "Time Traveler's Wife" had. Did you ever read that book? Oh sweet baby Jesus, DON'T DO IT IF YOU'RE CURRENTLY OR EVER MAY BECOME PREGNANT! Hogwarts. Homeschooling. Same thing . . . maybe? but seriously, your midwife is probably taking your blood pressure and all that every time so you're being screened for it without you knowing it. Cute! I'm checking out the potato soup recipe, and I'm totally wishing you had home-schooled me growing up (which would have been impossible...but still), because I want to learn magic AND science, too! The funnest school on earth! The soup recipe looks delicious. 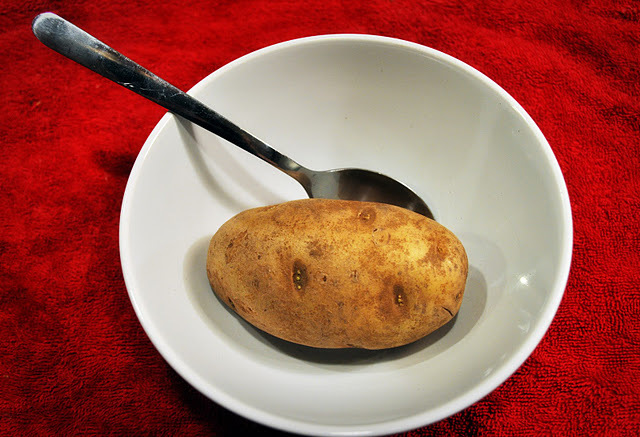 I didn't have much luck with potato soup the last time I tried it. I will need to try this one!